Ice Pop Patterns Pack - Look! We're Learning! We’ve been sharing summer-themed posts all month long, including our Free Ice Cream Printable Pack, our Free Summer Sight Word Flashcards, and a roundup of 50 Free Summer Printables! Today, we’re taking the summer learning even further with a math lesson! 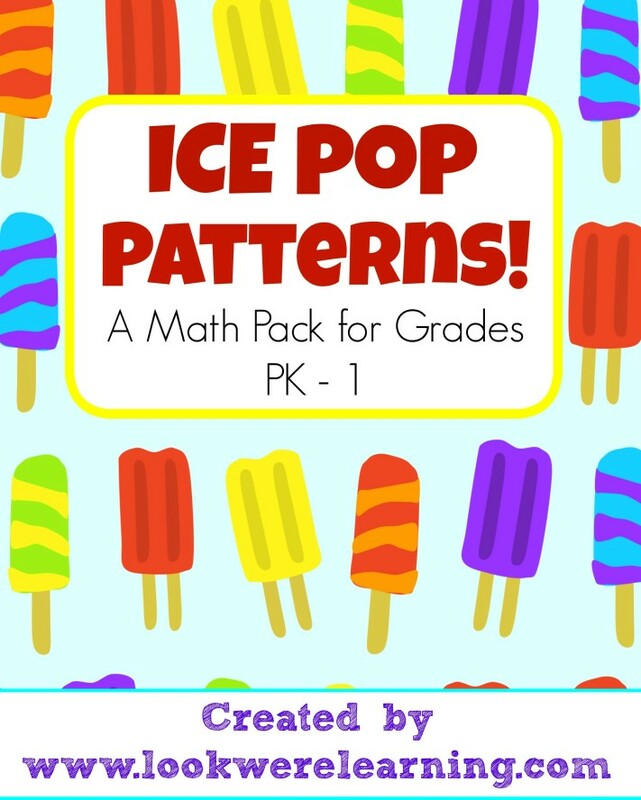 If you have a child in Grades PK-1, you’ll love our new Ice Pop Patterns Math Pack! And extra-large pattern cards for the littlest learners! There are also instructions to help parents and kids understand how to use the pack for themselves! 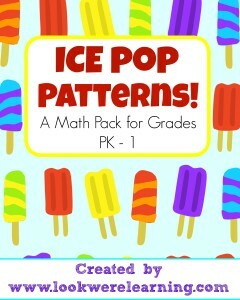 Plus, Ice Pop Patterns is on sale for just 99 CENTS through June 7! To get your copy of Ice Pop Patterns, click the image below or visit our Store!